Your custom landscape plan includes a computer design of your actual site prepared from digital photos so you can see results before work even begins. Your design ideas along with our expertise and experience will create a landscape plan that you will enjoy. 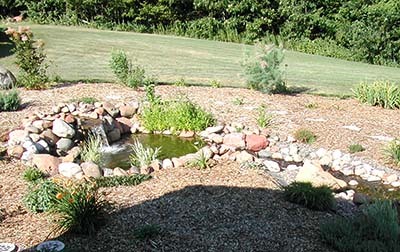 Once your design is approved, we will install the plan features including decorative rock, retaining walls, sod, trees, shrubs and more. All plantings are guaranteed for one year. Well trimmed, healthy trees and shrubs send a positive message to visitors. 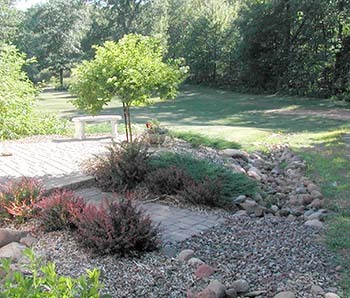 We can work with you to revitalize or restore an overgrown or out-of-shape landscape. We utilize the "natural pruning" approach to trimming where hand pruners, not power shears, are used to prune selectively.